Click Consult was among the first specialised search marketing agencies in the UK – founded in 2003 – and also one of the first to be certified a Google Partner, in that first year. As a result, Click Consult has been privileged to a lot of advanced information and advice (on changes in Google’s approach and best practices) over the years, becoming so familiar with Google’s approach that it has been able to predict changes, staying ahead of the curve with its own approach to search marketing. Not only have Click Consult reviews from clients led to RAR recommendation, its work on behalf of clients has won awards – yet the certification from Google has always been a great indicator that an agency is on the right track with its approach. 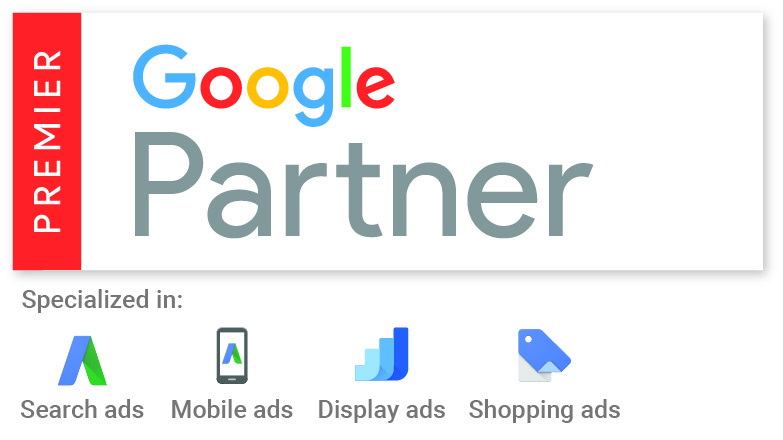 It was, therefore, a fantastic achievement for Click Consult to earn not only ‘Premier Google Partner’ status – but to be listed with a fantastic four out of five specialisms, a number not exceeded, as far as we’re aware, by any other agency. So, despite the number of blogs you may see announcing premier partner status by other agencies, the hope is that you’ll forgive this announcement as indicative of the tremendous pride Click Consult has in the work of everyone throughout the agency that makes it possible for it to be so consistently listed among the best and brightest in the industry. To find out more about our specialisms, or to see what Click Consult can do for your brand, contact us today. Alternatively, learn from our experts with our wide range of blogs and resources.